The 26-30 Railcard is now available across the country! Rail companies have together announced that over 4 million people are eligible to take advantage of 1/3 off their leisure journeys, for just £30 a year, when the National Rail 26-30 Railcard launches before the end of this year. 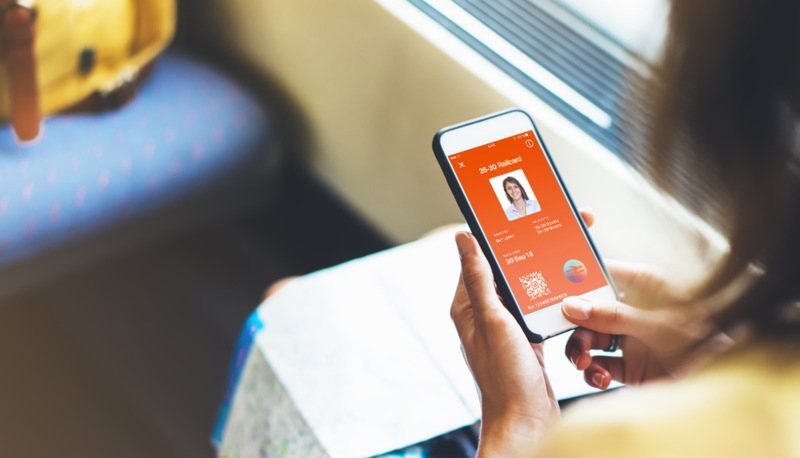 Launching nationwide as the first digital-only Railcard, the National Rail 26-30 Railcard is available to buy at www.26-30railcard.co.uk and downloaded to the Railcard app on a smartphone. Once downloaded customers can then start travelling (and saving) straight away, with no need to wait for the post. If their phone runs out of battery or gets lost it can be swapped to another mobile device. Originally piloted in East Anglia on 6th December, the trial was extended nationwide on 13th March to gather additional insights to ensure the National Rail 26-30 Railcard was the right product for this age group. Those taking part in trial took approximately 6 leisure journeys a month, covering an average of 400 miles, and if this trend continues then National Rail 26-30 Railcard holders will save themselves an average of £125 a year when they travel by train. More than four million existing Railcard customers save almost £600million a year on rail travel. Railcards enable customers to explore more of Great Britain, in an ultra-convenient and cost-effective way. The 26-30 Railcard is the seventh Railcard to launch since 1974.